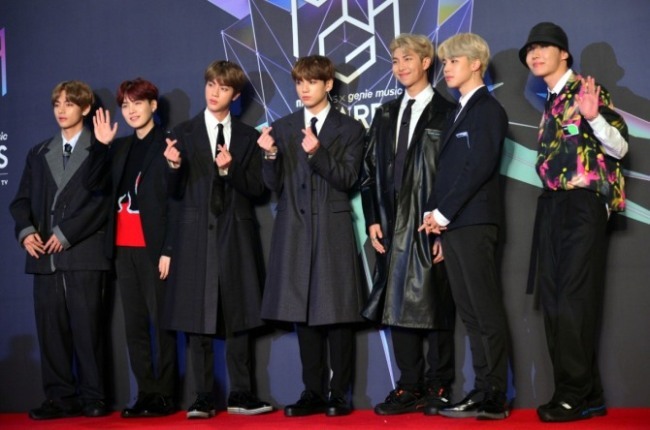 Tuesday was not the first time the renowned singer has shown interest in collaboration with BTS. 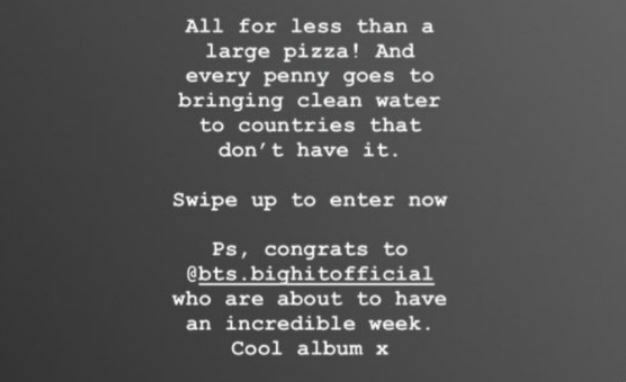 When the boy band released its latest album, “Love Yourself - Answer” on Aug. 24, Sheeran posted a congratulatory message to the group via his Instagram account. BTS reacted enthusiastically. 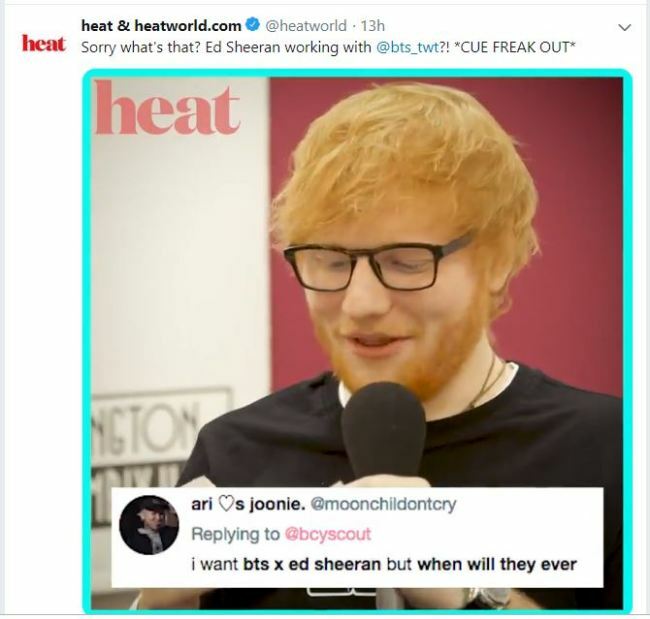 “We were very surprised to hear that Ed Sheeran mentioned BTS. We’ve never had chance to meet or communicate so it was really thrilling,” said member J-Hope at a press conference in August. Singer-songwriter Sheeran, who debuted in 2011, is scheduled to visit Seoul on April 21 next year for his first concert in Korea.